Licensed College Jewelry!! 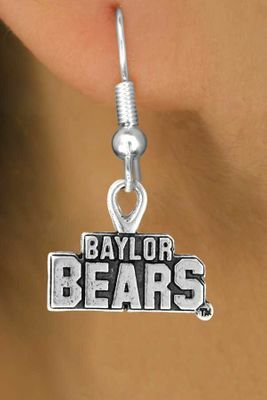 Lead & Nickel Free Sterling Silver Plated Fishhook Wire Earrings Suspend The Words, "Baylor Bears." 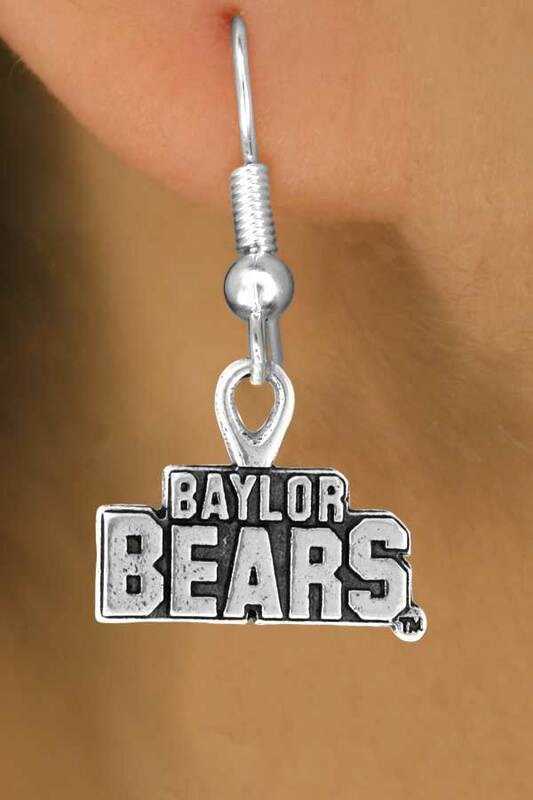 Earrings Measure 1 3/8"L x 3/4"W.
Scroll Down For More Baylor University "Bears" Items: W12832N, W12834B, W12835N, W12836E, W12837B, W13402SG, W13462N, W13463SG, W13464N, W13850KC, W13851KC, & W14311KC!